Threshold Arrow MA Speed is the important complement tool used to identify new trends in price. The heart of this tool is based in the MA Speed indicator https://www.mql5.com/en/market/product/7752. 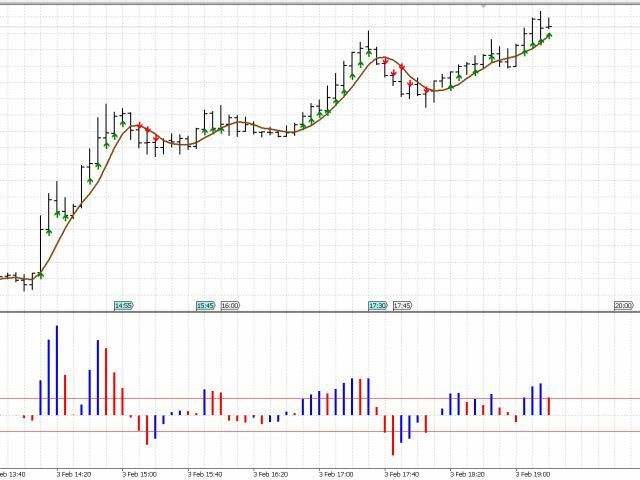 This indicator defines with arrows in the main chart when the MA Speed indicator has crossed an specified threshold value, THUS defining a new trending behavior (upward or downward). Up_threshold – defines the upper threshold value. If MA Speed indicator has a higher value then a green arrow is plotted in the main chart. Low_threshold – defines the lower threshold value. 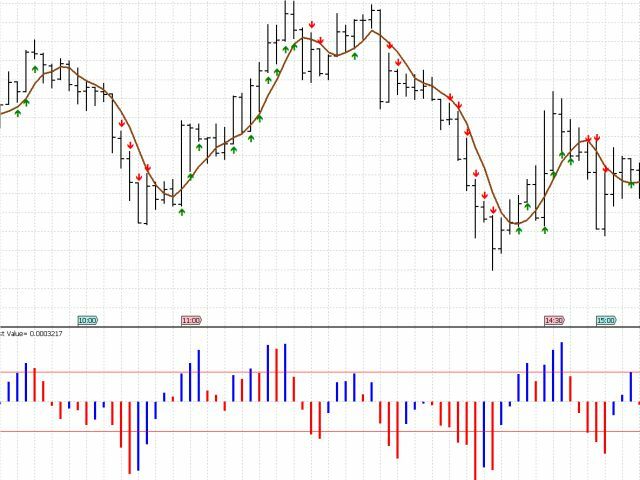 If MA Speed indicator has a lower value then a red arrow is plotted in the main chart. Applied price – Close, Open, High, Low, Median, Typical, Weighted. Smoothness – Grade of smoothness to apply in the indicator. The MA Speed indicator chart window is not included when running this indicator, it is necessary to acquire it separately in order to visualize the MA Speed chart window.